THE boys and their coach are safe. Following the chronicle of both the disaster and the rescue efforts unfolding in the news, I remembered my own cave expedition in Malaysia. A few years ago, my family and I decided to spend a day away from the city’s malls, water parks and other crowded places. 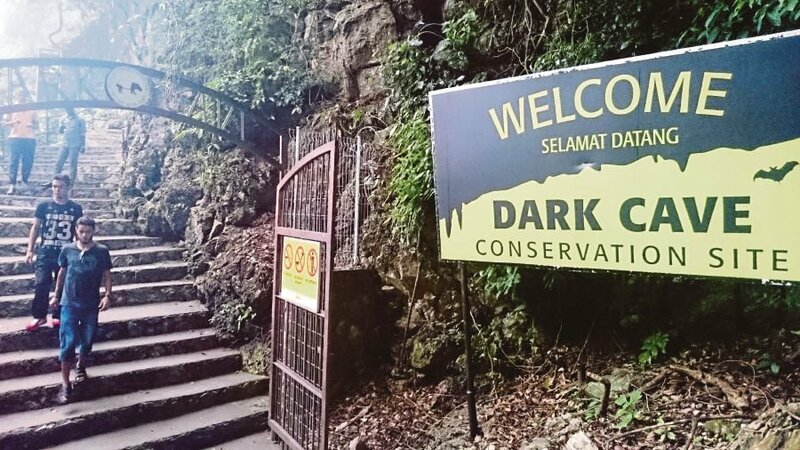 We opted for the “Dark Caves” (Dark Cave Conservation Site) next to the famous Batu Caves. We were advised to wear long pants and long sleeve tops — a challenge for my tropically appointed wardrobe. The choice of attire would prove to be the least of our tribulations, however. Fitted with a pair of rubber boots, a helmet and a headlamp each, we followed our guide into a new and unknown world with the nonchalance of the uninitiated city dwellers that we were. The first part of the trip into the belly of the mountain led us through the so-called “education” portion of the adventure, a mysterious world 400 million years in the making. In hindsight I would rename it the sensitive choice. As advertised in the brochure, we marvelled at a colony of a few hundred thousand bats in the Fruit Bat Hall. Next, we entered the cave gardens inhabited by hordes of cave cockroaches crawling all over the floor and the walls. Our rubber boots felt really good at this point. Our guide explained that, “all these animals can only survive inside the caves and need to feed on bat guano (droppings). These cave dwellers are part of a closed ecosystem, they clean up the ground and use those droppings as energy substitute for missing sunlight”. Thankfully, the cavern also provided an abundance of beautiful stalagmites, stalactites, flow stones, cave pearls, and stone formations so thin that our flashlights shone right through them, for us to admire. Having chosen the hard-core “Adventure Trip” over the benign educational alternative, we moved on deeper into the hollow rock. Used to the cool and dark by now, we were asked to sit down and switch off our headlamps. I will never forget the sense of dread befalling me at this point. For the first time in my life I experienced that darkness is not equal to the absence of light. Total darkness is tangible; it feels thick, heavy and terrifying. Distant sounds of waterfalls and droplets falling on stone felt like an eerie, three-dimensional and threatening force sneaking up all around me. This was the point of no return. If we chose to head back to the surface, now would be the last opportunity. Again, in hindsight I would call this the sensitive choice. But of course, not wanting to spoil the fun, I kept quiet. Not the sensitive choice. Soon enough, we had to bend down, then crouch, advance on all fours, and finally lay down in the cold, wet mud and crawl. Soaked to the bones in something I didn’t care to examine too closely, I remembered how — in another life, it seemed that I had worried about my jeans getting dirty. The ultimate challenge came in the shape of a tiny gap in the rock, so small I only fitted through with my head tilted sideways. We had to creep through inch by inch, to make it to the other side, into a chamber only remotely bigger. My son had a blast, my daughter expressed her dislike in no uncertain terms, and my husband wished we had opted for a trip to the shopping mall instead. Me? I felt reborn. I had just pushed through a stony, cold, and dark birth canal. Of course, all the breathtaking sights of the “Heavenly Skylight”, two incredibly sharp rays of sunlight rushing through an opening in the ceiling, illuminating green moss all around us, made up for the palpable menace of the dark passages that had come before. The sense of achievement, the pride of having braved fears and challenges as a team, all that was quite an experience for us. Thinking back to these strong emotions as I watched the young boys being rescued from the Thai caves on television made me realise how fortunate we had been, and gave me a greater appreciation for what these kids must have gone through. I shiver at the mere thought.